Many indigenous cultures around the world believe that everything in the natural world has something to teach us if we are open to it in our hearts and our minds. When it comes to beekeeping, our best teacher may well be the bees themselves. Here are just some of the lessons we can learn from the hive as a mentor. I we observe the hives of feral colonies we often find large bits of comb debris and wax moth refuse on the bottom of these cavities that house very large and healthy honey bee colonies. This supports the theory of the wax moth as Mother Nature’s clean-up crew. When a hive dies out or becomes weak and is only able to occupy, patrol, and maintain fewer combs than they previously had, the wax moths move in and devour those exposed and unprotected combs. As the weak hive recovers and builds up its population, or a new swarm moves into the previously occupied cavity, new replacement combs are built to serve the colony. This natural cycle suggests the importance of regularly replacing the honey and brood combs in our hives. 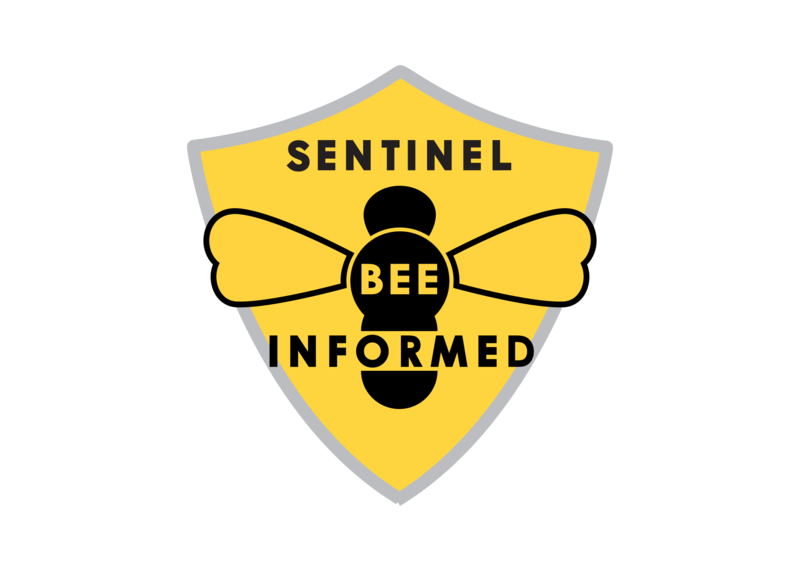 Regular comb replacement will help to limit the debilitating impacts that pathogen and pesticide residue build up in comb that can have a detrimental impact on the health of the bees over time. 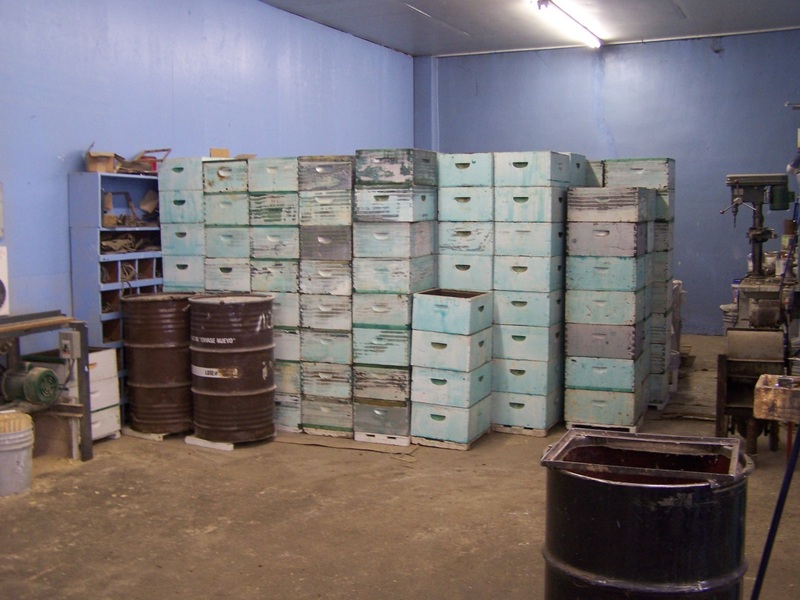 Plastic foundation must be covered with a layer of beeswax in order to get the bees to build comb upon the foundation. Without the layer of beeswax, colonies will tend to build combs next to, but not on plastic foundation. 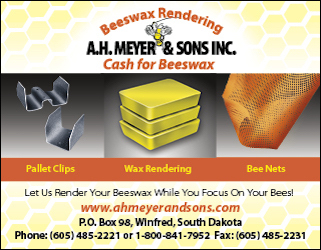 Place both plastic and wax foundation in the same bee hive and the bees will tend to draw out the wax foundation before they touch the plastic foundation. Much is unknown about the impacts of plastic foundation and frames including the impact of the off-gassing chemicals produced by some plastics on bees and beeswax, and the ability of plastic foundation and comb to transmit vibrational signals through the comb during waggle dances. 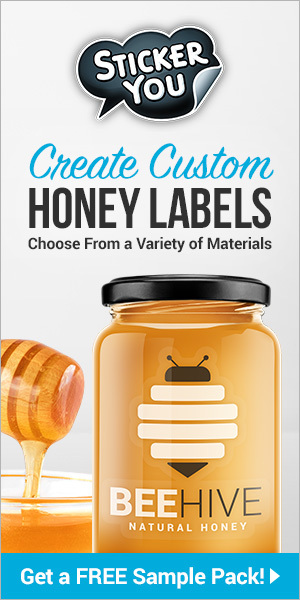 The honey bee’s reaction suggests that while plastic foundation and frames may be convenient and desirable to many beekeepers, bees do not like plastic foundation and prefer foundation made from beeswax if foundation is to be used at all. 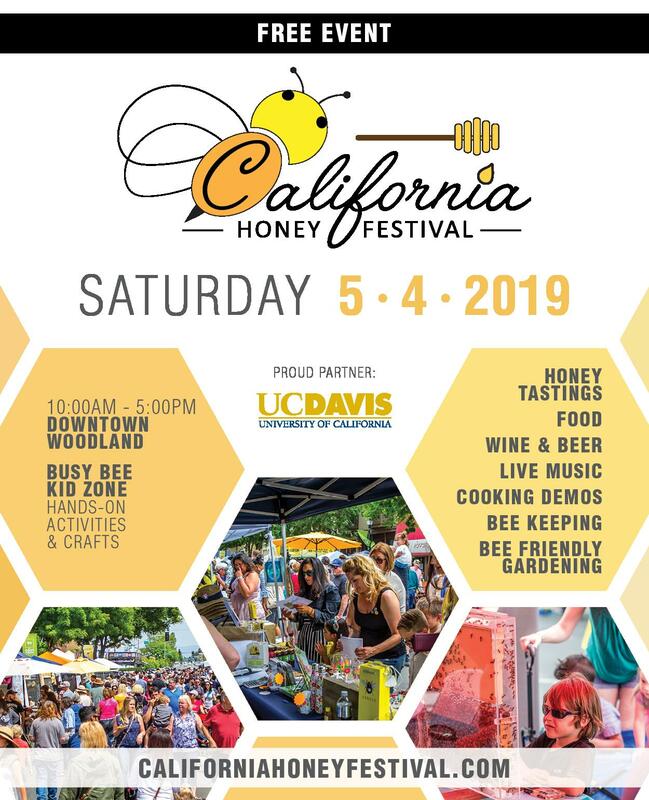 Honey bees have evolved over millions of years to exist on a diet of fermented pollen and honey made from the nectar of plants or the sugary excretions of aphids. Provide a colony with a feeder filled with sugar syrup during a major honey flow, and the bees will take the syrup much slower than they do when there is no honey flow, if they take any of the syrup at all. This observation is a clear signal that bees prefer their natural diet over the artificial ones that beekeepers have a tendency to provide. This suggests that it may be a good practice to only feed bees when they are in danger of starvation and then, to use honey sealed in honeycomb is the first choice when deciding what to feed the bees. Personally, I will only feed syrup when a colony is in danger of starvation and I have no excess frames of honey to provide the bees. Even then, I will often fortify the sugar syrup with sea salt and herbs in order to try to make it more like nectar in the hopes that it will be more nutritious for our pollinator friends. Research that indicates honey bee genes related to immune response are activated on a diet of honey and pollen but not when their substitutes are fed suggest the beneficial impacts of an authentic honey bee diet over an artificial one. The culling of drone brood in order to remove reproducing Varroa mites from a colony is becoming a common practice among many beekeepers. 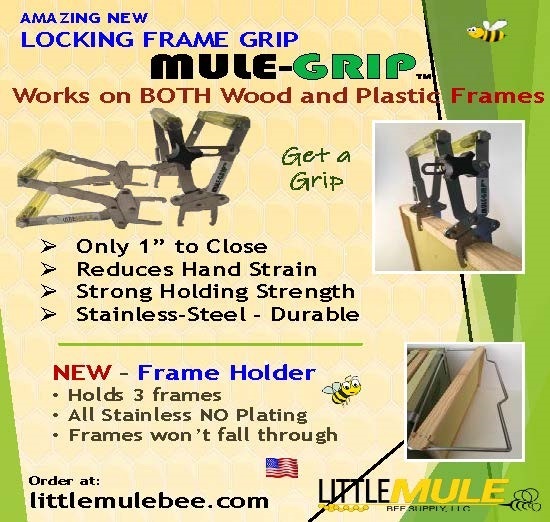 Some beekeepers will replace a deep frame or two in the brood chamber with shallow or medium frames in order to allow the bees to build drone comb in the empty space below the shallow or medium frame’s bottom bar. Once the drone comb is constructed, the queen has laid eggs in the comb, and the cells of developing drone brood are capped, the frames are removed and the drone comb attached to the bottom bar of the shallow or medium frames is removed. 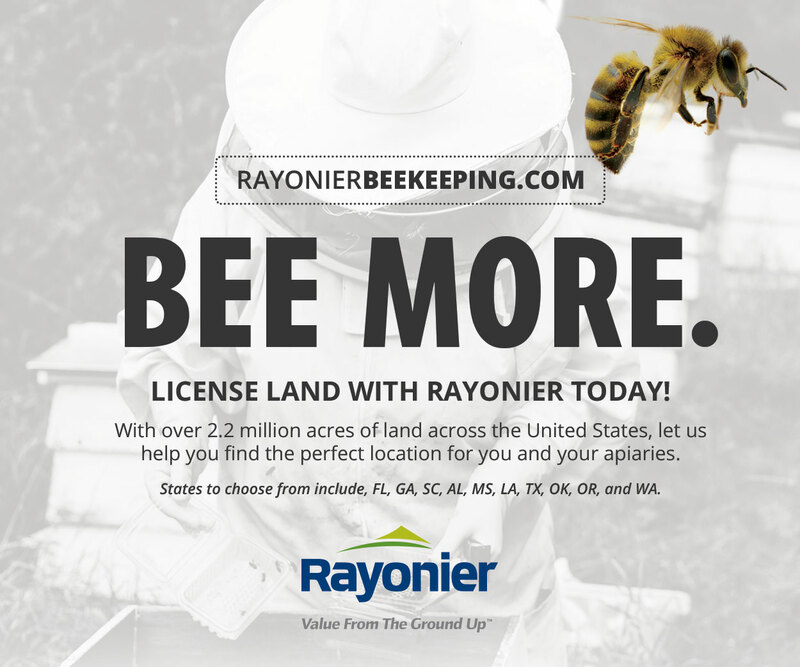 Beekeeping supply companies have responded to the interest in utilizing capped drone brood removal for the control of Varroa by offering plastic drone brood foundation coated with beeswax to their customers. When we observe how colonies of honey bees build their comb and arrange their brood nest, we notice a pattern. The drone comb is almost always built on the outer edges of the brood nest or the outer edges of the frames of worker comb. If we are to embrace the concept of the hive as a mentor, we will duplicate this arrangement when we are placing drone comb in the colony. This means that we will position frames of drone comb foundation or short frames to be used for culling drone brood, not in the center of the brood nest but on the outer edges of the brood area, just like the bees would normally do themselves. Just as the brood layout in a hive will tend to follow a predictable pattern, so will the layout of pollen and nectar within and around the brood nest. 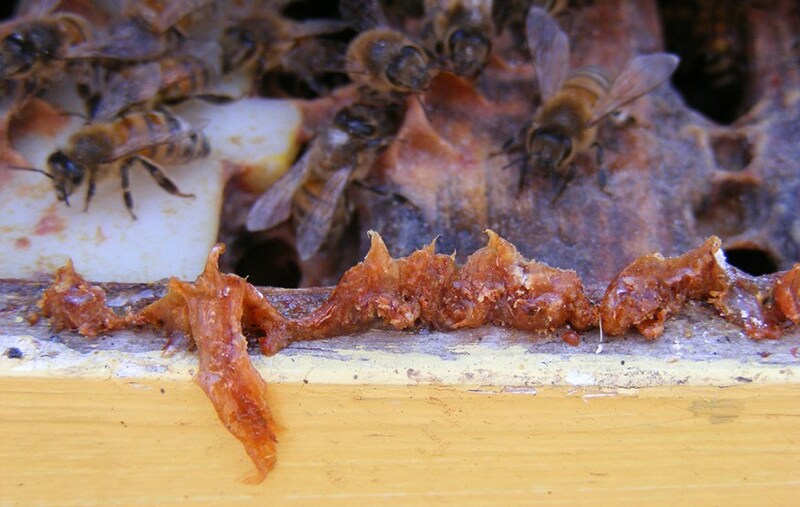 Brood is often found surrounded by a band of fermented pollen with honey off to the sides and above the pollen layer. This provides the beekeeper with a clue as to the best way to arrange winter food provisions within a hive to both ensure the hive does not starve over the winter and to avoid the necessity of feeding. By making sure that the majority of the honey within the hive is located above the brood nest as winter sets in, this creates a situation in which the wintering cluster should have plenty of honey available to them and the bees won’t eat themselves into a corner and starve as they slowly migrate into the upper levels of the hive during the winter months. Anyone who has spent time observing feral colonies can’t help but come to one obvious conclusion: Honey bees don’t care about the shape of the hive they live in. Swarms have been found in all manner of cavities from abandoned vehicles and garbage cans, to tree hollows and the space between wall studs, roof rafters, and floor joists in buildings. Sometimes these cavities are oriented vertically and sometimes they are horizontal in shape. Sometimes the cavities they choose are round and sometimes they’re square. 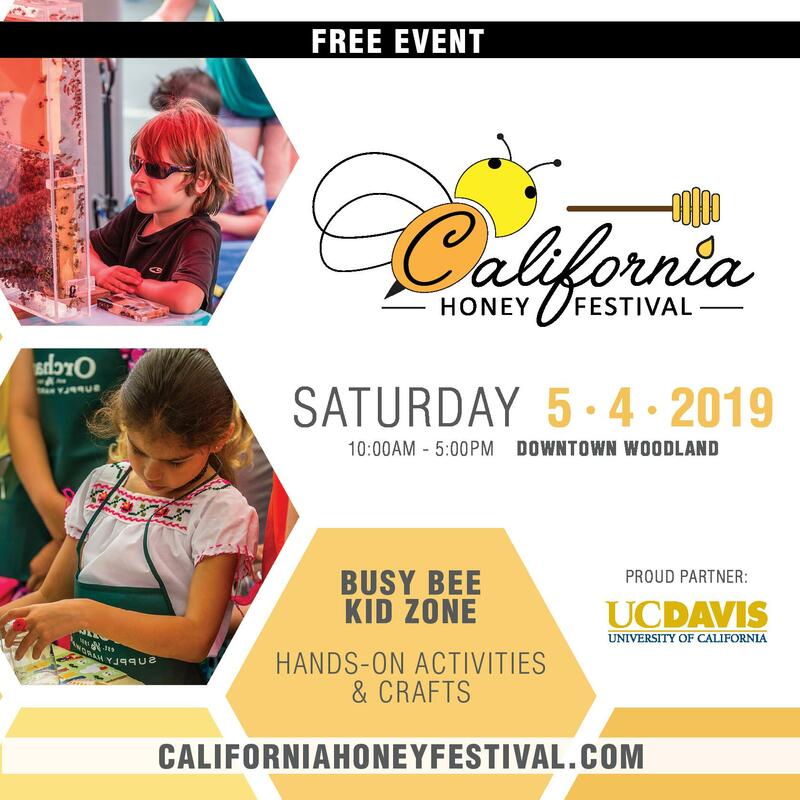 As research conducted by Tom Seeley and outlined in a book that is destined to become an all-time classic volume, Honeybee Democracy, bees don’t care about what type of hive they are kept in. Bees do seem to exhibit a preference for the size of the hive opening, the geographic orientation of the hive entrance, entrances that are close to the bottom of the hive cavity rather than the top, the over-all volume of the hive cavity, and the height of the cavity from ground level. 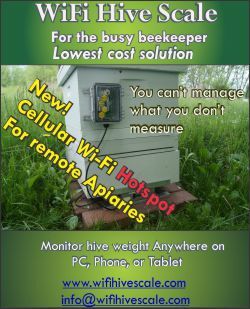 The bees do not care if the hive is top bar, Warré, uniquely custom built, or a standard Langstroth model. They don’t even care if the hive observes the rule of bee spacing or not. 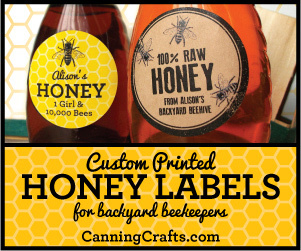 These differences are all designed to appeal to the beekeeper, not the honey bee. I’ve said it before and I’ll say it again…it does not matter what kind of hive you keep your bees in, what matters is how you care for them. The bees tell us so. Our mentor, the honey bee, can also tell us a lot about how effective we are as beekeepers when we are working with a colony. Are the bees aggressively attacking you while you work, or are they relatively calm and docile? 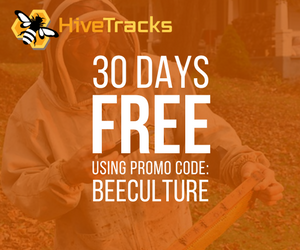 This immediate and direct feedback can help you evaluate among other things whether you are using your smoker effectively, being too rough or clumsy with the colony, or are wearing a bee suit that is in bad need of washing. The most valuable lesson the hive can provide is one of survival. When a hive dies, it is providing a clear and unambiguous lesson in the appropriateness of one’s beekeeping management skills prior to its death. The key here of course is to capitalize on the sacrifice the hive has made and take the time to try to figure out why the hive died and what you might change in order to prevent a similar occurrence from happening again. It is a sad but true fact that we tend to learn more from our mistakes than from our accidental successes. 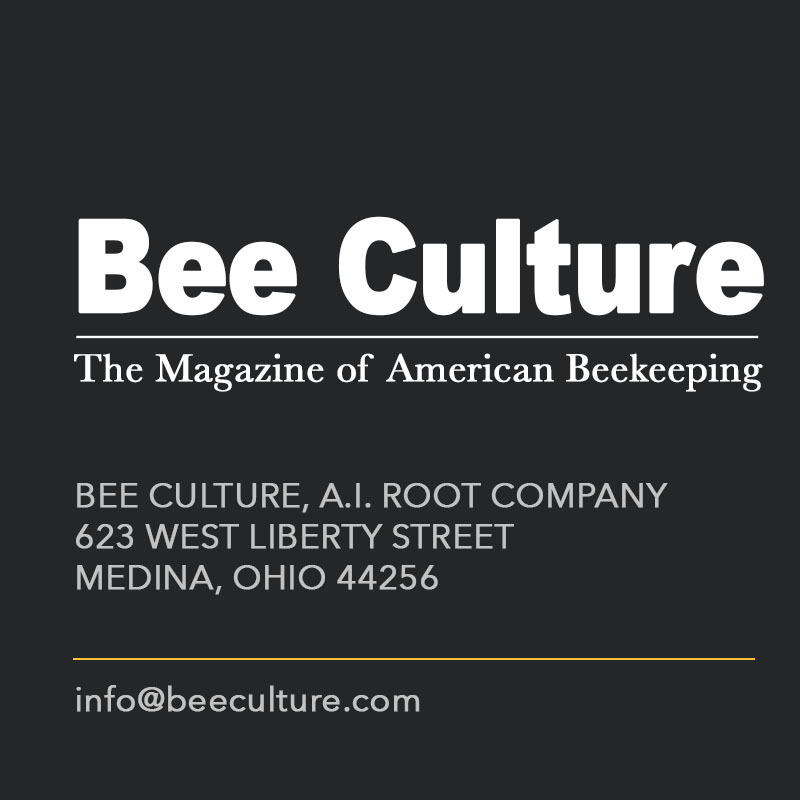 Normally when we think of a beekeeping mentor, we often picture a more experienced beekeeper. 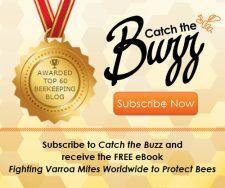 The importance of having a mentor (or two) as you embark on your beekeeping adventures cannot be overstated. A good mentor is there to help you when you are confused, uncertain, or just plain dumbfounded. 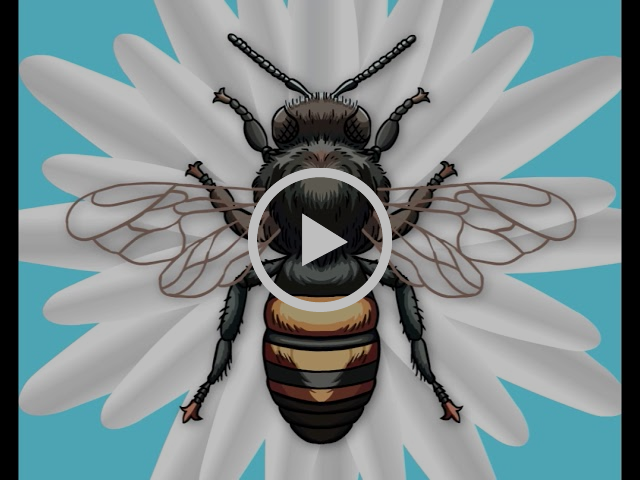 Whether you are just starting out or have 50 years of experience, trusting the hive as a mentor reminds us that the best possible results most often come from simply mimicking nature and the natural processes that occur around us. Even science itself has come to this realization with the prominent emergence of the field of biomimicry (aka biomimetics) which imitates the models, systems, and elements of nature for the purpose of solving complex human challenges (Wikipedia). If you want to know what the bees prefer, or what works best for them, consider just asking the bees. They don’t not mince words, or pull their punches. Through careful and thoughtful observation, the bees may be providing us with many clues regarding how to best care and provide for them. All we have to do is listen. 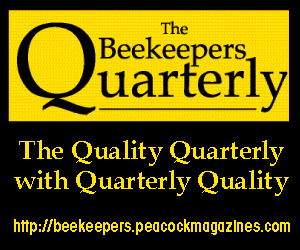 Ross Conrad is the author of Natural Beekeeping 2nd Edition. 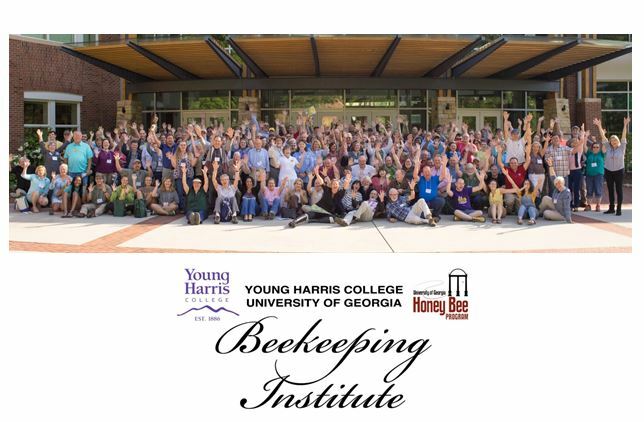 He will be teaching a two-day Organic Beekeeping for Beginners course May 9-10th, and an Advanced Beekeeping course on May 23rd in Lincoln, Vermont. For more information or to register visit http://www.mettaearth.org/ online or call Ross at 802-349-4279.